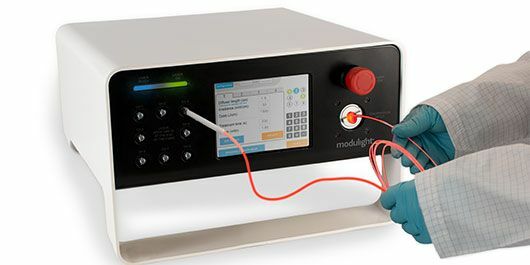 Modulight turnkey laser systems are ideal solution for oncology, surgery & bacteria removal (photo disinfection). In Photodynamic therapy (PDT) alone – tens of hospitals use our systems. Our ML7710 is the most configurable laser platform in the world and boasts a unique platform approval. It boasts up to 8 channels, multiple wavelengths, tens of Watts optical power from 400 to 2000nm. All platform certification to accelerate your product development or clinical trials. Our systems boast unparalleled flexibility and ease-of-use. Produts are supported with full suite of services. 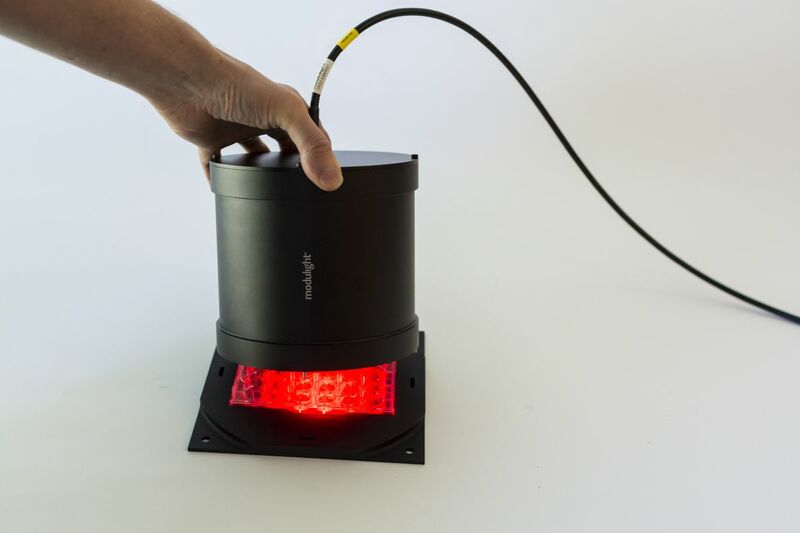 Lasers can often be tailored with minor changes yet retaining most regulatory approvals and thus saving significant amount of qualification time. Talk to our engineers for solution customized to your needs. For example the floor standing model below was a result of a customer first asking for a laser module. They however quickly decided to hand over entire design and manufacture of the entire laser to Modulight for quality, productivity and time to market. Floor-standing systems are typically providing largest productivity in a specific application. Above pictures represent actual customer units designed by Modulight for them – visit us to see the live units. They are also highly optimized for the end-user ROI by easy transport e.g. within a hospital. Modulight has experience on many different form factors from floor standing human weight scale systems down to small handheld laser instruments and accessories. We know laser is just the heart of the system.